Hello, Don't want to offend but if I ordered part # 10454 would I get a new part or a used part? I'm asking because the picture looks like its a used part. If you ordered one of these we will send you a brand new item, but due to the way they are manufactured there can sometimes be a few marks around the bolt holes. Mrk 1 And Mrk 2 Axle Plate Differences? 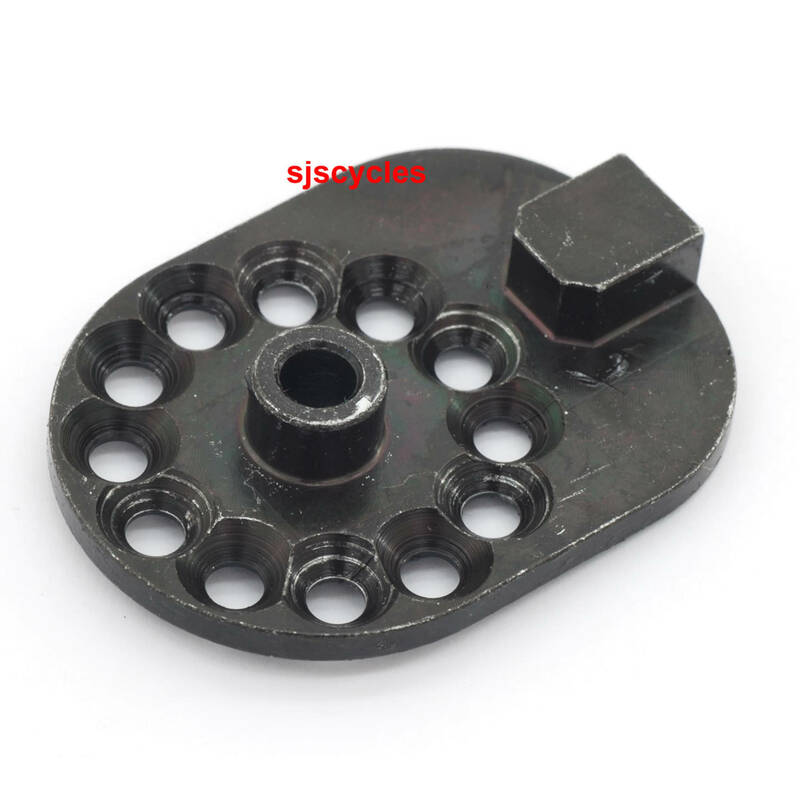 Is there any tangible difference between the mark 1 and mark 2 oem axle plate converters for a QR hub? there is only one main difference and that is in the block that locates into the drop-out to prevent the axle plate from turning. On the MK1 this block was riveted on and after many years of repeated use in extreme cases it could separate from the axle plate, the MK2 prevents this by the block being a cast part build into the axle plate from the start.